Despite the sub 2 hour marathon attempt not being as successful as the Nike team would have liked, the hard work was not wasted! The world record of 02:02:57 held by Denis kimetto had been broken although this would not stand as an official world record the team around the sub 2 have proved that boundaries are made to be broken!!! On Saturday, Kenyan runner Eliud Kipchoge came closer to breaking the 2-hour marathon barrier than any person in history, racing 42.2 kilometers in just 2 hours and 24 seconds. The feat—more than 2 minutes faster than fellow Kenyan Dennis Kimetto’s record-setting run at the 2014 Berlin Marathon—capped years of work by scientists in Nike’s Breaking2 project, an effort to engineer runners and racetracks to blow through the elusive barrier. 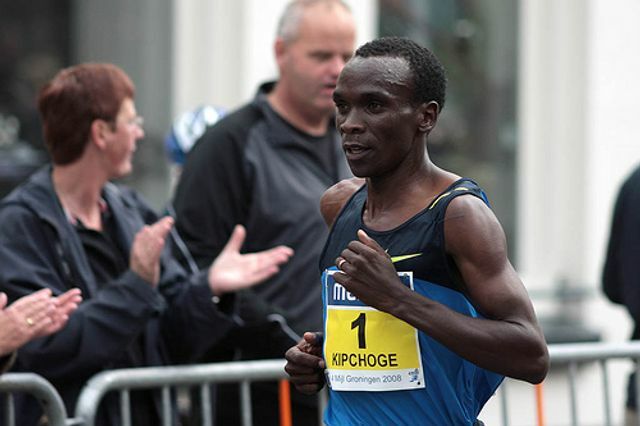 Still up for debate is whether Kipchoge’s performance will be recognized by the body that ratifies marathon times, the International Association of Athletics Federations.